The Real Sea Of Experiences Starts Here! If you are a dedicated beachgoer then you will certainly have heard of our heavenly islands, gone for a dip in the refreshing waters of the Atlantic, strolled along the endless sands, investigated the local fauna and flora and had fun doing some of the many water sports on offer. But if this is not the case, the Hotel Faro offers the perfect beach holiday accommodation, even in winter! 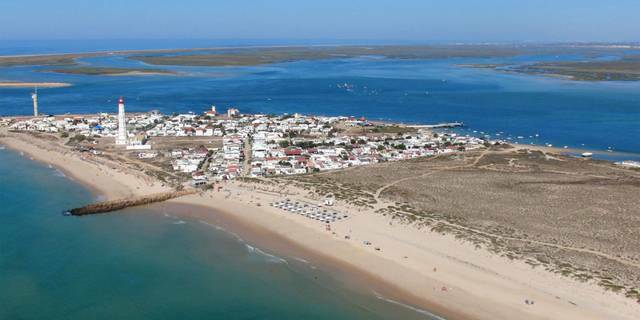 The Hotel Faro offers the perfect beach holiday accommodation, even in winter! 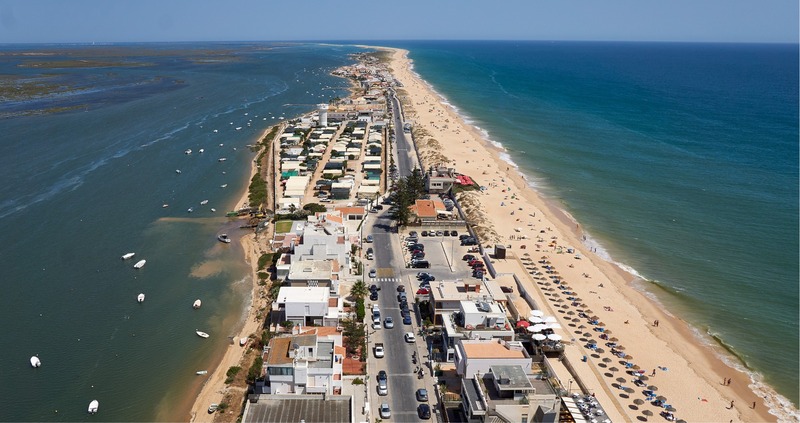 The sandy barrier islands off the coast separate the waters of the Formosa Estuary (Ria Formosa) from the Atlantic Ocean, creating a unique landscape of safe beaches with excellent support services for beachgoers. Did you know that this beach can be a magnet for water sport enthusiasts? Why has the chameleon made this its home? 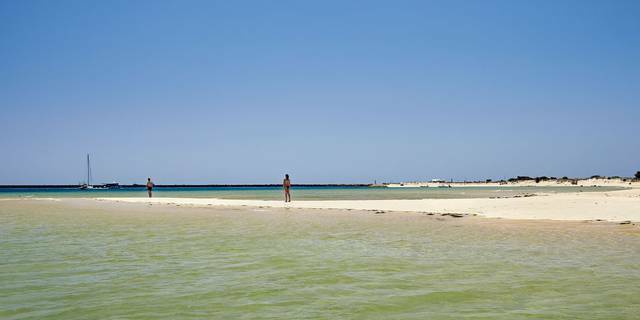 Armona Island combines the best of two worlds. You can enjoy a beach day, swim in the warm calm waters of the Ria Formosa and explore the area where the summer holiday homes stand and the decorations of shells and coloured tiles provide a cheerful view; or, if you prefer something even calmer, you can go for a walk along the island and explore its wilder side, where protected species such as the chameleon live, and where there are inviting natural pools of crystal-clear water. One thing is certain: while visiting the island, you must take the opportunity to chat to the shellfish-gatherers and try gathering baby clams yourself. Did you know that they taste even better when you gathered them yourself? Can you picture yourself disembarking in a fishing village? When you disembark on Culatra Island, with its population of approximately 750 inhabitants, it doesn’t take long for you realise that you are in a fishing village that takes pride in its roots and preserves its traditions. On this picturesque island, the church and the school are worth a visit, and you should definitely meet the islanders. Culatra Island is a natural refuge for fishing boats, but many summer sailors also drop anchor in these calm waters and come ashore to sample the delicious fresh fish and seafood. Watching the fishing boats come in or taking part in oyster-gathering followed by tasting are just two of the experiences the island offers. Are you familiar with Portugal’s southernmost lighthouse? 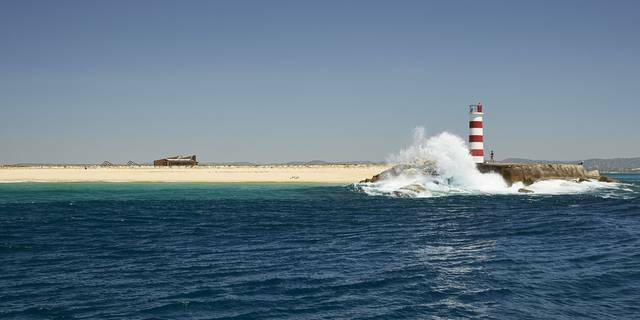 The name of this island, with its calm, fine sands, crystal-clear waters and pleasant climate, comes from the lighthouse on the Cabo de Santa Maria (St Mary’s Cape), built in 1851. The boat trip to the island takes around 30 minutes and every second is priceless! During the crossing, you can appreciate the beauty of the Ria Formosa and the varied fauna that lives in this protected area. The Hotel Faro will be pleased to help you discover this island and enjoy an unforgettable day. Are you ready to discover 11 km of peace and quiet? Ilha Deserta invites you to enjoy peace and relaxation. As the name suggests, there are no buildings here; the island is one of the best-preserved in the Algarve and the beach, one of the least-visited. The golden sand and crystal-clear water make this an island paradise that no-one should miss! Don’t be fooled by the name, though; the island may be called deserted but it is actually teeming with life. Many molluscs and other shellfish live in the sands, including clams and whelks, to name just two. In the dunes, where the natural vegetation reigns supreme, plovers, sandwich terns, common terns and other protected bird species nest undisturbed.